The first original and traditional Cypriot Restaurant-Taverna in Polis. 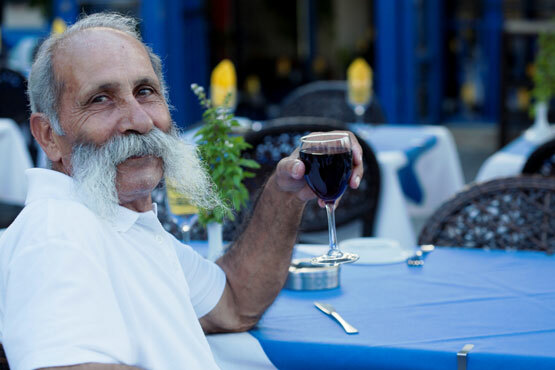 During the late 70″s Papa Moustakallis worked for the Limni Mine where he refined the copper. He also worked as a part time butcher in order to help balance the books.In 1978 when the mine closed he decided to start his own business together with his wife Katerina, the first real Tavern in Polis. This used to be on the site of the Alpha Bank near the square. 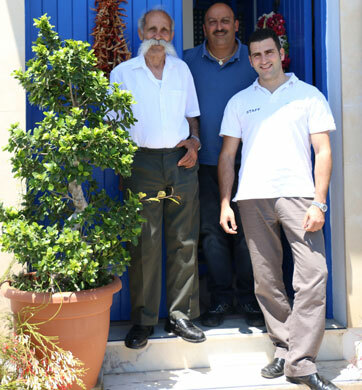 Today the business is owned and run by three generations of the family, yes three i tell you. 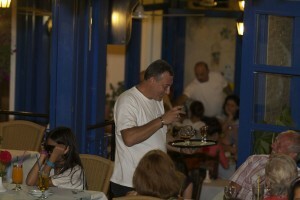 Papa Moustakallis “The Man with the Large Moustache!. Son Andreas, also sporting a ‘tache however not so grand as Papa!, and Grandson Kyriakos (Andreas Son).Not forgetting the most important team of ladies. Head Chef Natasha, wife of Andreas, her two daughters Simoni (who has a degree in food science), and Katerina controlling the till. “This Family Affair” has a team of second chefs, kitchen porters and waiters, most of which stay loyal to Moustakallis working for Andreas year on year. One of the waiters, George comes from Bulgaria, he returns home for the winter where he concentrates on keeping healthy building muscle by eating and drinking, tucked away with his family in his mountain home by the log fire waiting for next season! Young Pelops, a local Cypriot, nephew of Andreas practices as a vet, goat, sheep and pig farmer (yes really all these!) has been with Moustakallis from the early days. He was 14 when he showed off his fast learning catering talents to Andreas. Now he is in his 20’s. I have seen his farm animals and can say how healthy they all look. 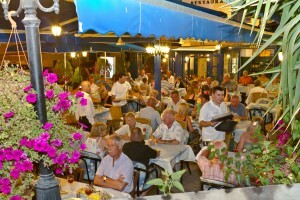 Based just off the central square in the town of Polis Chrysochous by the ample Main Car Park. 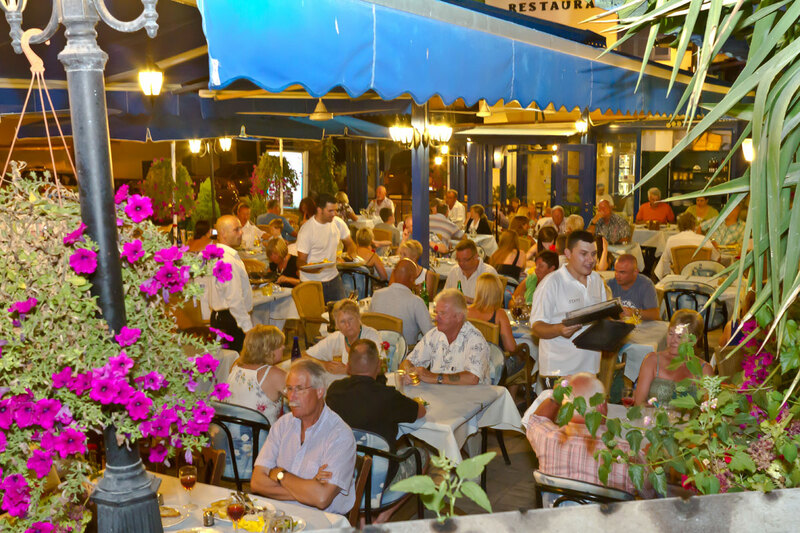 The style of food here can be described as Cypria-European offering exceptional quality local fruit, vegetables, poultry fish and meat. 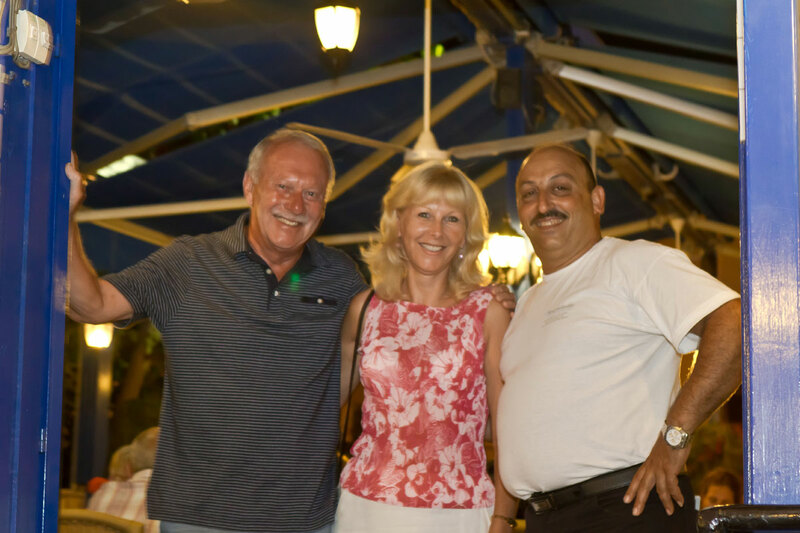 With Papa Moustakallis, himself being the local butcher you are assured of only the best cuts! They also cultivate a lot of fruit and vegetables themselves. 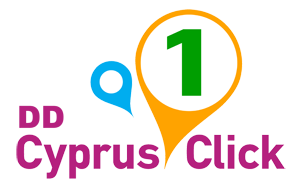 You will be greeted by Andreas and his trademark saying “YOU ARE WELCOME!”. His warm and friendly heart will reassure you that he means this with respect to each and every patron to his establishment. 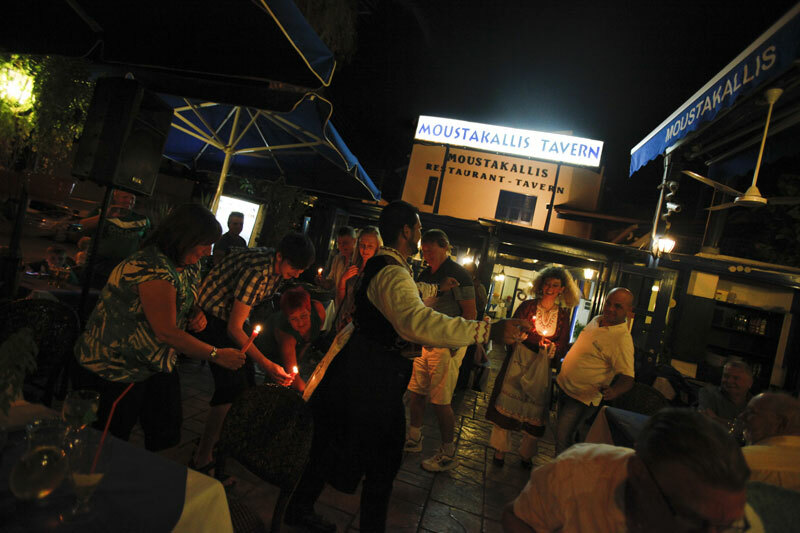 Here, at Moustakallis we always aim to deliver the best outcome to our guests. With our extensive menu we cover all of the aspects a restaurant in our level should be offering. We are taking extra care for our young lovers and we can do any kind of adjustment to see them smiling. 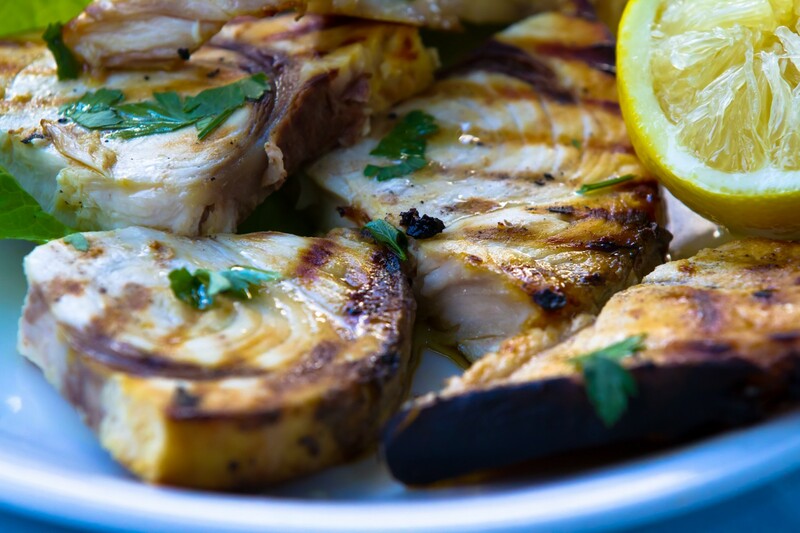 Freshly dishes are prepared daily by top quality ingredients from our experienced staff. We are proud of our Lamb Kleftico here, which it is cooked the traditional way in a clay oven for more than 6 hours! For more of our specialties click below to enter the temple of taste..